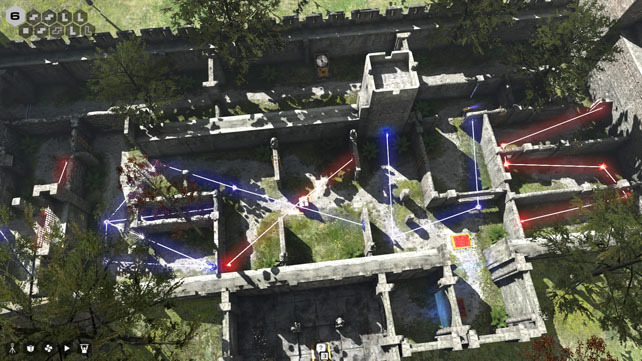 Having debuted on PC, Mac and Linux last year, The Talos Principle is making its way to PlayStation 4 this autumn, and if you’re a fan of puzzle games then it’s one to keep an eye on. Set in a mysterious world that mimics ancient civilisations, you’re not only challenged with figuring out how to progress, but also with questioning your own beliefs and understanding of human nature. It’s not a game that goes easy on your brain, though is one you should consider to give your little grey cells a workout. 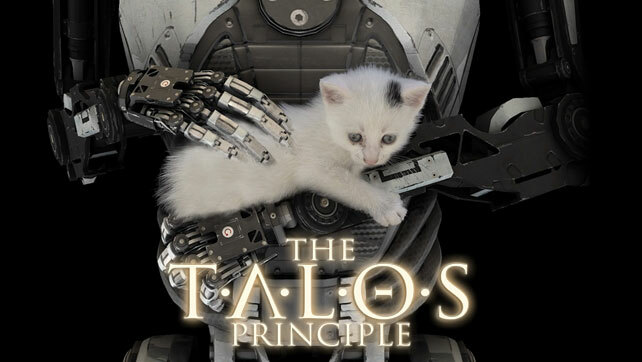 This is by no means a bad thing, The Talos Principle takes the formula and uses it to craft a tight and intriguing mystery tale that gives the player a lot of freedom of choice in both how to tackle the puzzles, and how to approach the game itself. 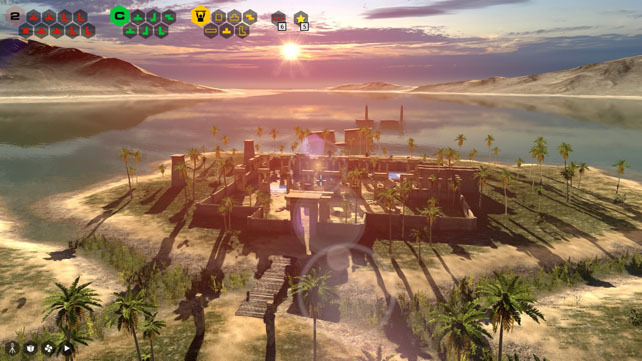 Working your way through the opening tutorial gives you the basic movement and mechanics needed to traverse the world, and you start off exploring an area that’s reminiscent of ancient Greece. This is just an illusion though, really you’re in some kind of simulation that’s pulling together coherent elements from a digital archive to provide a teaching and evaluation system. You start off initially feeling like a new born learning everything from scratch, taking instruction from a “god” called Elohim, before being left to develop on your own. There’s no surprise in this as right at the beginning you’re aware that you’re an AI machine that’s going through an elaborate training programme, even if the purpose is not clear; and the only thing you know for sure is that sigils are needed to access other areas. 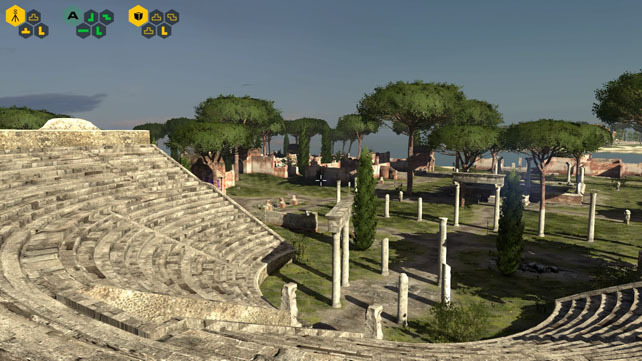 Compartmentalisation is key to the structure of The Talos Principle. 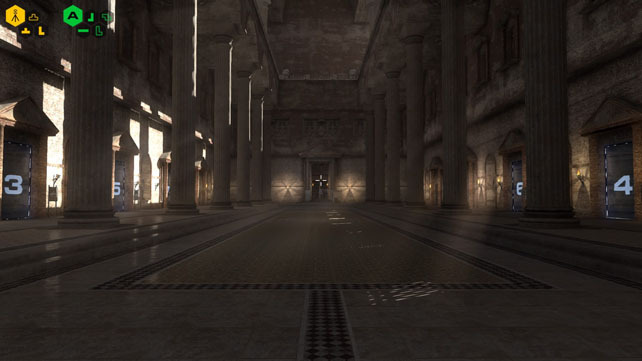 The puzzles are distinct rooms in the “levels”, the levels are distinct areas in the worlds, the worlds are distinct areas in the main hub, and the main hub has distinct areas as well. At no point are you lost or stuck on where you should be going next, and the areas don’t have to be tackled sequentially either – well, kind of. With 7 levels to each world there’s nothing stopping you from completing them in any order you wish, though some gadgets for puzzle solving are unlocked over time. 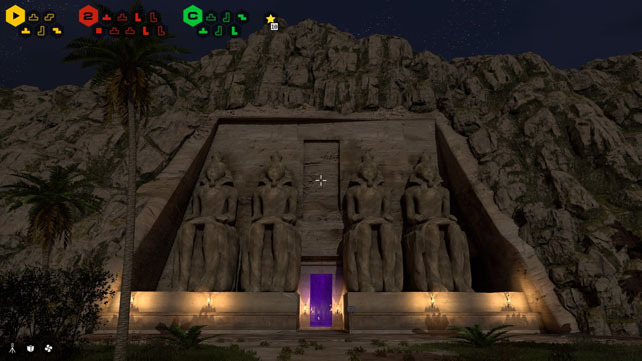 Moving from the first world (Greek-esque) to the second (Egyptian) and on to the third (Medieval) requires a gate to be opened using the power of shape tessellation. Those sigils you’re picking up that look like Tetris blocks are used to create keys to the various locked gates and doors throughout the hub world, and to make things easier to fathom, the colours explain what they unlock. Yellow are for abilities, Green are for world gates, and Red are for the levels of the Tower in the hub. There are also secret stars to collect that enable access to really tough puzzle rooms that will get you the final ending of the game. That’s right, there are multiple endings to be found in The Talos Principle, and the one you end up with will depend on your own affinity with various elements of the game. Stripping away the gameplay, the struggle presented is that of faith vs. science: your willingness to believe your actions are directed for a reason and therefore there’s no advantage in understanding why you’re completing tasks, against wanting to discover the truth behind the world you wander and what has happened. 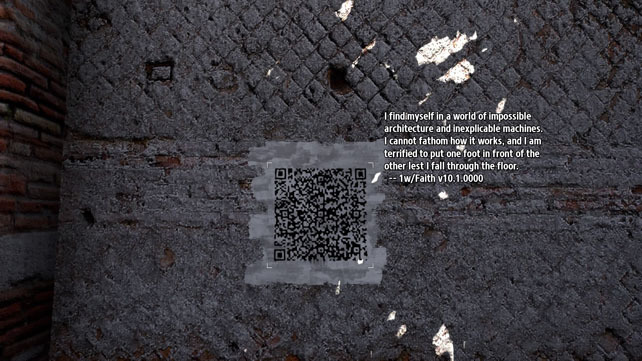 Coming across other AI units QR codes on walls gives you an insight into the struggle others have had reconciling the information fed through Elohim and the scattered computer terminals. Leaving you to tease out the story from the surroundings pulls you into the world further than constantly narrating what’s happened, and also lets you choose what you want to read and what you want to skip – there’s an awful lot of deep thinking material to get through if that’s your thing. Certain sections attempt to make you question your own motives and reasoning within the game, whilst breaking the 4th wall to try and get you to think about your personal circumstances. A brave move for a game and one that might work depending how invested you are. When it comes to the puzzles they’re in the best tradition of this genre with several types that are introduced steadily to allow you to become familiar with them before they get tricky… then they start being combined. Simple energy barrier navigation gets expanded with light source switches, beam direction, pressure pads, block puzzles and even the ability to record and replay your actions. Whilst they are by no means easy, there’s nothing in The Talos Principle that can’t be worked out with a little patience and thought, and you always have the choice to go away and do something else if there’s one that has you stumped. An interesting approach is that the physical objects required for some of the solutions are not only trapped behind barriers, but sometimes just plain hidden either inside or outside the puzzle room. This turns things into a bit of a scavenger hunt coupled with needing to understand how some rooms can be linked together. The length of the game is determined by how quickly you can work things out, and whether you decide you want to uncover all the truths available. As the PS4 release is the full game plus the Road to Gehenna DLC, there’s around 15 – 20 hours in there all told, and the trophies require at least two playthroughs if you want to get the platinum. It’s a decent amount of content at a budget price, and a hugely entertaining experience too. I don’t want to compare this to other games in the genre, it’s not fair because this is an excellent game in its own right, but arguably there’s some influence in there from a well known physics puzzle game, and if you’re a fan of that I highly recommend The Talos Principle. Anyone who wants to exercise their logical thinking and tackle some of the existential questions of the universe is not going to be disappointed. 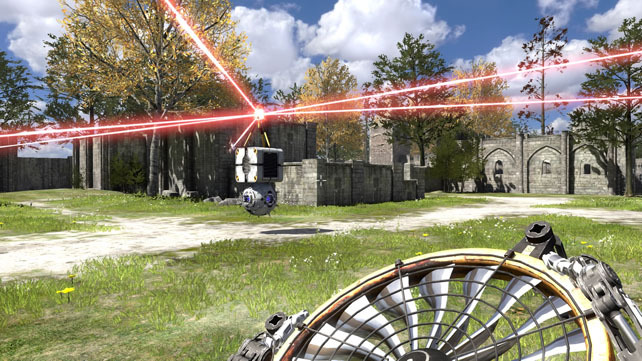 A PS4 copy of The Talos Principle was provided by the Devolver Digital PR team for this review. The game will be released on 13th October at retail and on PSN, and is already available for PC, Mac and Linux users.